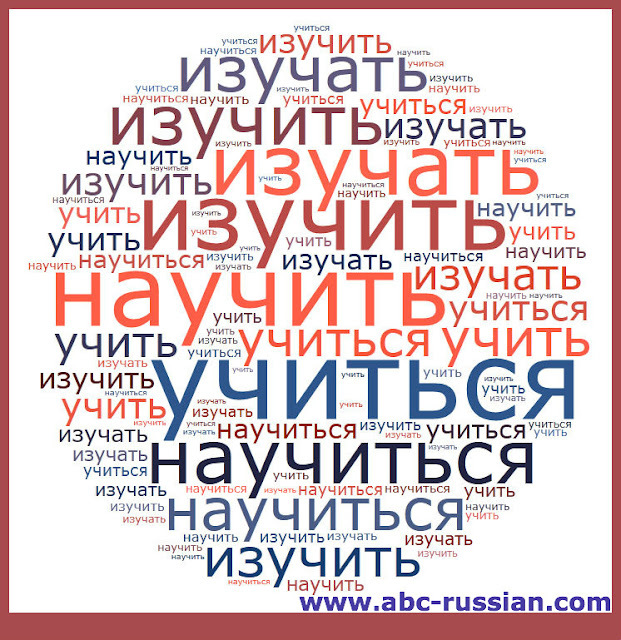 ABC Russian: 50 shades of the Russian verb "учить". 50 shades of the Russian verb "учить". What is the difference between Russian verbs like учить/учиться/ изучать/научиться etc? All the verbs that denote the process of study are widely used. There are several of them in Russian language and students constantly mix them up. Let’s talk about the usage of these verbs! to study, to learn. the activity of learning or gaining knowledge. Remember that this verb should be followed by the noun or adjective on prepositional case. You should say the place of your studies. Мальчики учатся в школе в пятом классе. This verb is also can be translated as « to learn», the meaning is - to gain knowledge or skill by studying, from experience. for example: to learn words, rules, phrases etc. Я учу новые слова каждый день. На занятиях по физике студенты учат формулы. to give lessons to students in a school, college, university, etc. ; to help somebody learn something by giving information about it. ИЗУЧАТЬ - ИЗУЧИТЬ + что? the activity of learning or gaining knowledge, either from books or by examining things in the world. Пьер изучает экономику в Сорбонне. Света изучает лингвистику в Смоленске. УЧИТЬ - НАУЧИТЬ+ кого? чему? to teach someone something, especially a practical skill, to give somebody information about something. Кто вас так хорошо научил играть на скрипке? Мой дедушка научил меня водить машину, когда мне было 16. Я могу научить вас танцевать сальсу. УЧИТЬ- НАУЧИТЬСЯ + чему? что делать? to gain knowledge or skill by studying, from experience. Где вы научились так хорошо говорить по-русски?